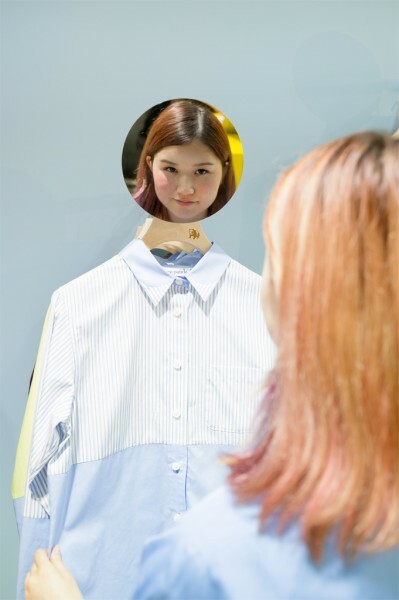 Located at the basement level of Shibuya’s PARCO Part 1 Building, we have designed the interior and exterior of the store for new fashion label ‘my panda’. From ‘Smiles’, the company which created brands such as ‘PASS THE BATON’ and ‘giraffe’, this label is based on a ‘two-tone’ theme. 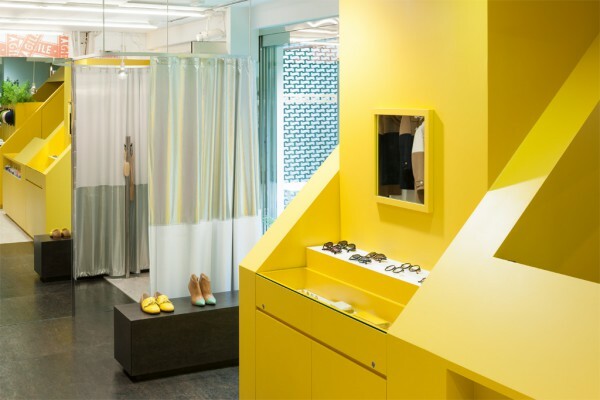 We wanted to design a store which could become iconic to the fashion label such that it may be easily recognized. To create space for the two-toned clothes, shoes, bags and products, we have proposed a ‘house’ that is divided into two colors. 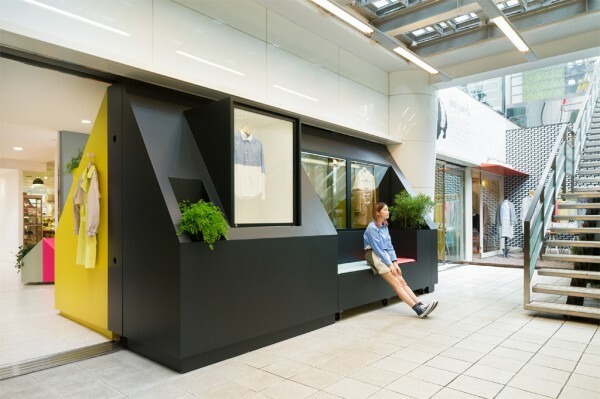 The house occupies both the inside and the outside of the store space: as a counter and display shelving on the inside while functioning as display windows as well as a bench on the outside. Being separated from the main circulation path of the basement floor, we had to consider how customers can access the store. 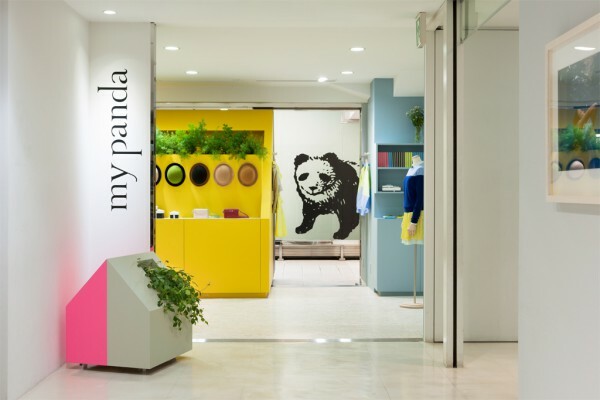 We placed a large panda logo on the outside wall such that it can be seen through the store entrances from inside PARCO. The panda’s face can be seen popping through as though to greet passers-by all the way from the outside, welcoming them into the shop. 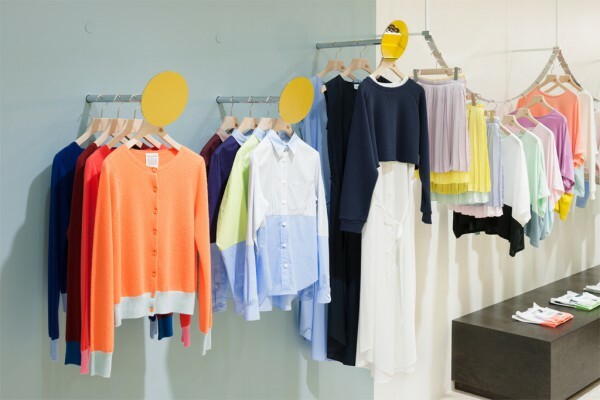 Along the wall side of the store, a curved hanger rail resembling a garden laundry line is used for the clothing display. 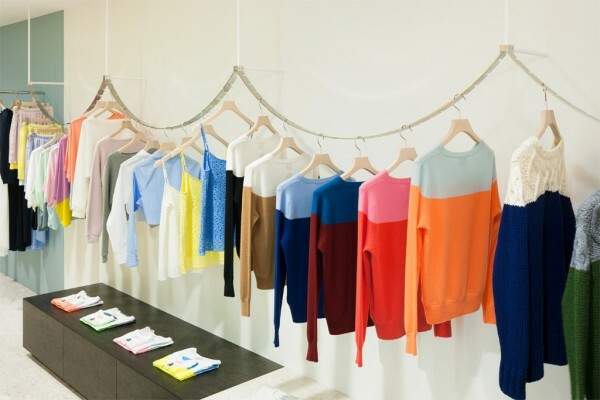 The curved rail allows for the pieces to be hung at different heights, making it easy to see the different items of clothing on display. For the floor and furniture we had used stained OSB for its texture; while the many types of plants placed throughout the store makes it a place that visitors would find friendly and welcoming. 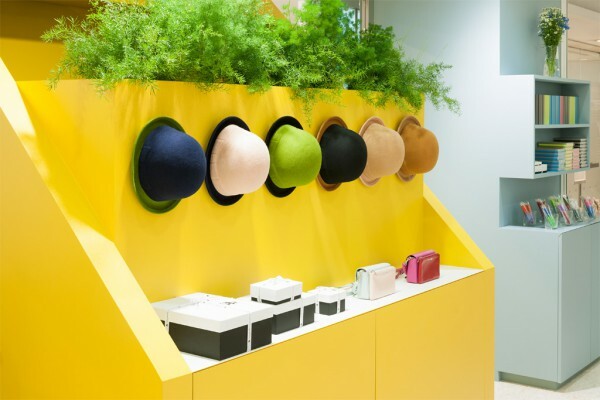 We had aimed to use this space to compliment the brand’s colorful range of items, taking on the two-tone theme such that the store itself acts as a communication tool for the brand.